On Saturday, there was a post on Facebook stating that it was National Ice Cream Day. And since I believe everything I read on Facebook, I told Paul and we quickly adjusted our errand date night to include a stop at an ice cream place. After all, ice cream aficionados like us HAVE to have ice cream on National Ice Cream Day. Back home, after a very yummy PB Mallow (vanilla soft serve with peanut butter and marshmallow topping) for me and a milkshake for Paul from Kurver Kreme, we were watching the news and they reported, “Tomorrow is National Ice Cream Day.” Hooray! Two days of ice cream. 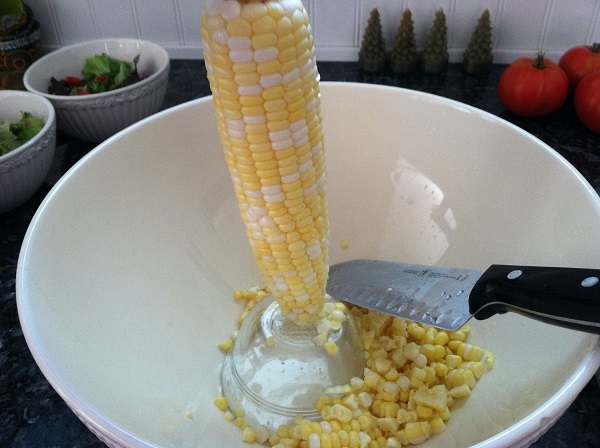 A really simple pattern – this would definitely make a quick and easy holiday gift. 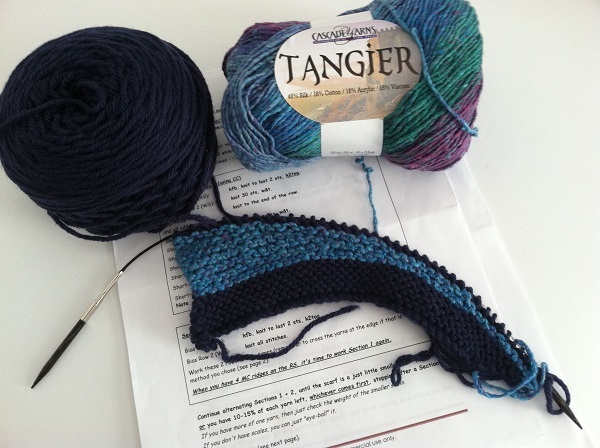 …..and very quickly discovered that I cannot use the Tangier yarn in this one. It is took thick to use with size 7 needles which made it very difficult to knit. So much so, that my hands were hurting. And no, my hands weren’t hurting because I was knitting too much. It was the yarn. 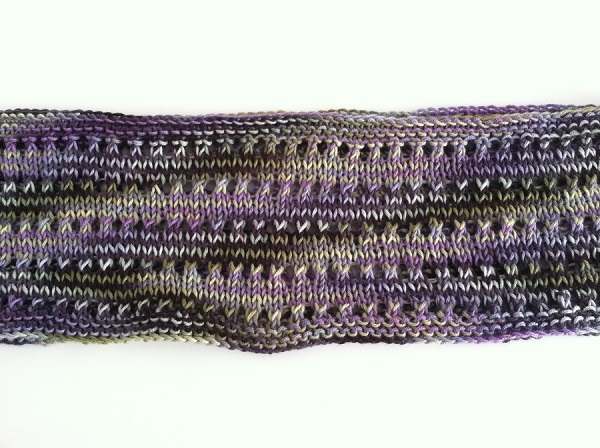 It also has a fair amount of silk and cotton in it, which means it is not very stretchy and therefore harder to knit with. So, now I have to wait until tomorrow, and stop at the yarn shop on the way home from babysitting to grab a new yarn. And no, I’m not waiting until Wednesday afternoon when I will be working there anyway. So relaxing and peaceful out on the deck. Even when you are realizing you are going to have to start over. 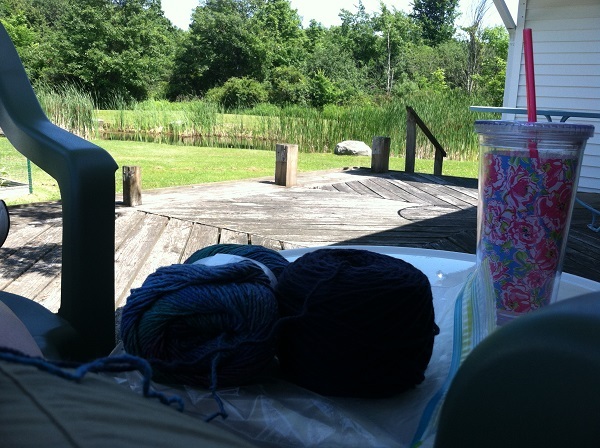 And finally, I started the second section of my Wendy Knits Summer Mystery Shawl 2014 Knit-a-long scarf. Looks pretty much like it did before (but now we are adding short rows) so you are not getting a picture of that yet. Picture to come when I’m done with the second section. There are some collards there that I don’t think we are too keen on, but the CSA gave us a recipe for collard slaw that we will try. 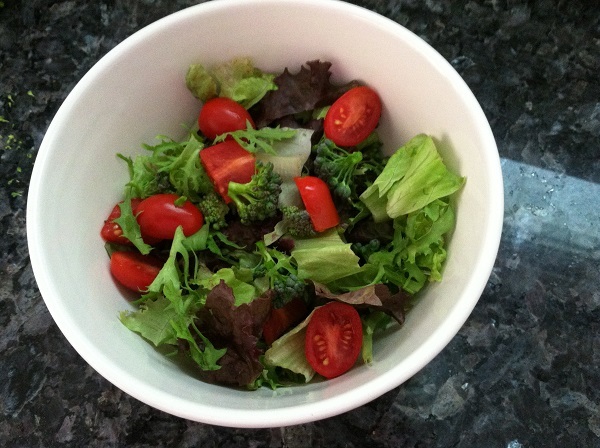 We had some yummy salad with lettuce, frisee and broccoli (some from the CSA and some from my garden)…. 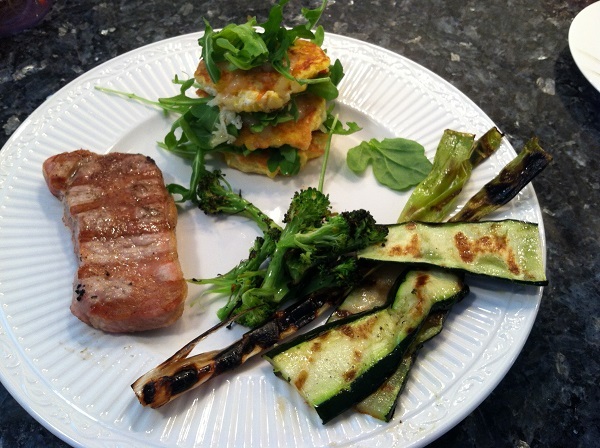 We ate the corn cakes with grilled pork chops and grilled zucchini, scallions and broccoli. 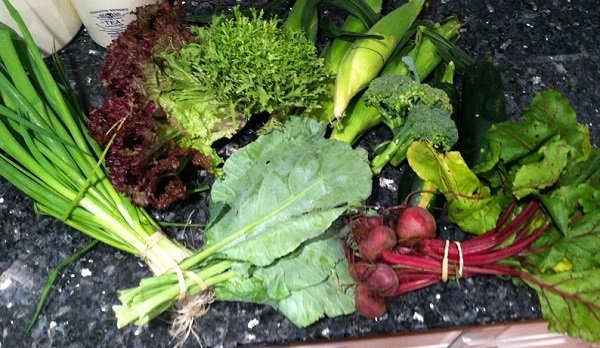 So good to eat fresh veggies and so good to know we are supporting a local farm and food bank. 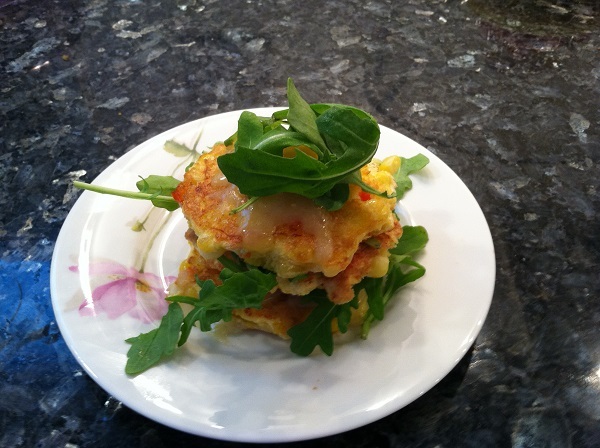 Posted in Uncategorized and tagged corn cake stacks with arugula and cheddar, CSA, ice cream, kurver kreme, sea glass cowl, what if...? 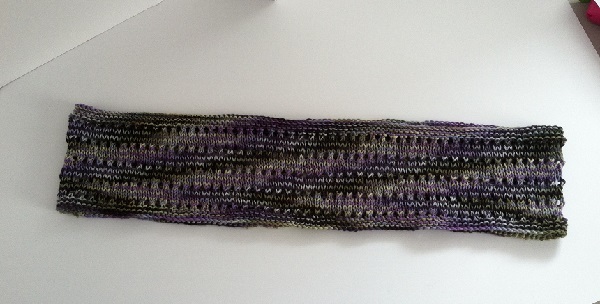 scarf on July 21, 2014 by lizytish.